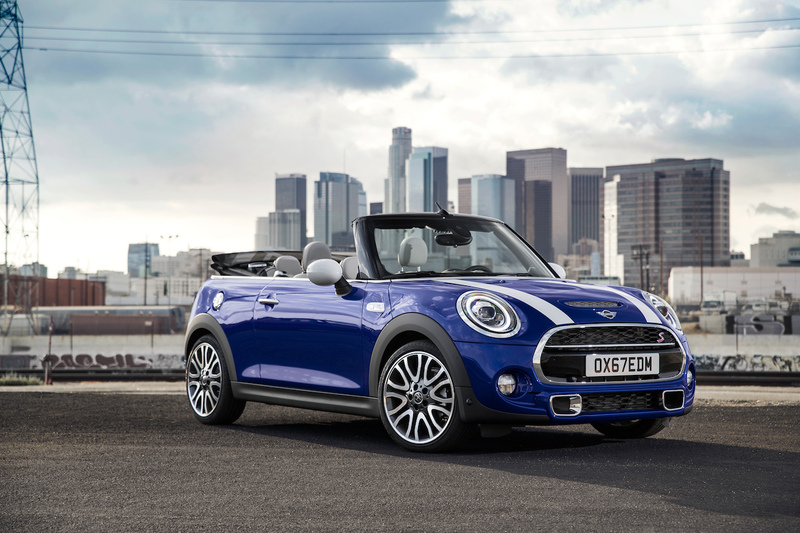 MINI has introduced a mid-cycle refresh for the current generation MINI 3-door, MINI 5-door and MINI Convertible. 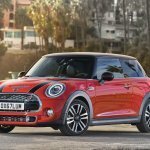 The 2018 MINI 3-door, 2018 MINI 5-door and 2018 MINI Convertible will debut at NAIAS 2018 this month. 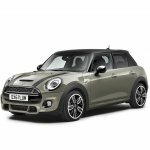 The 2018 MINI hatchback range features minor styling changes and updated equipment. 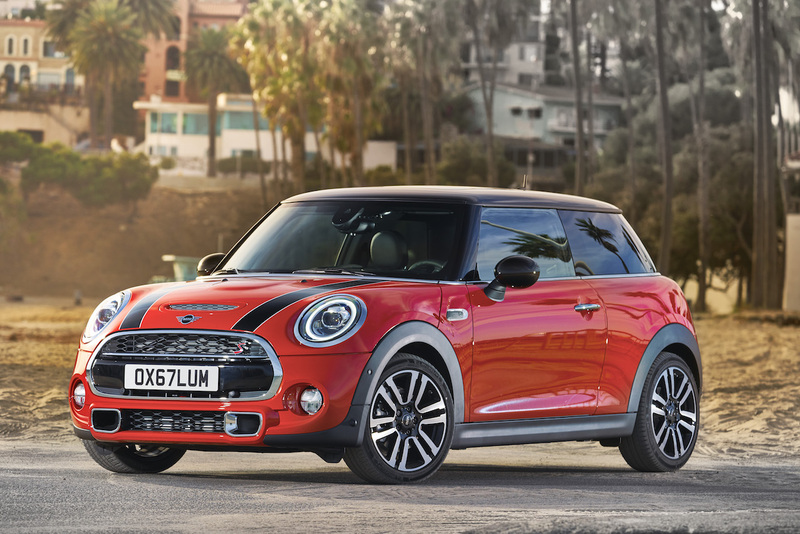 The new MINI hatchbacks have received a subtle facelift with the mid-cycle update. 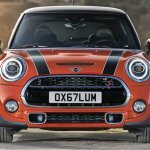 Exterior changes include a modified design and Matrix high beam for the circular adaptive LED headlights, new 17-inch alloy wheels, new MINI logo in a two-dimensional "flat design” on the bonnet and tailgate and new LED rear lights in Union Jack design. There's a new Piano Black Exterior option to get the headlights, radiator grille and rear lights in high-gloss black finish instead of chrome. Three new exterior colours are available: Emerald Grey metallic, Starlight Blue metallic and Solaris Orange metallic. There’s a new option of MINI logo projection for the driver-side mirror. 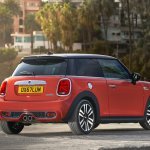 The 2018 MINI 3-door, 2018 MINI 5-door and 2018 MINI Convertible have several changes on the inside too. 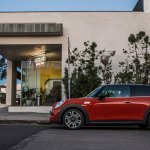 MINI has introduced new leather trims, interior surfaces and Colour Lines in the updated models. The option MINI Yours Interior Style Piano Black is now available with illumination. Other changes include newly designed 3-spoke multifunction steering wheel, optional radio and navigation systems with a touchscreen monitor and wireless charging for mobile phones. 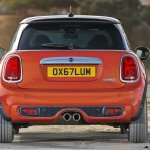 MINI has improved the engines of the MINI hatchback range with the MY2018 refresh. The engine covers are made of CFRP, and so, they are lighter now. MINI uses carbon fibre recyclate generated in the production of BMW i models to make the material used for them. 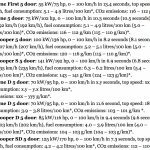 MINI has increased the maximum pressure in all the petrol engines from 200 to 350 bar. 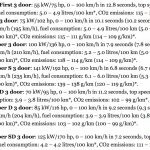 In the 3-cylinder diesel engines of the MINI One D and the MINI Cooper D and the 4-cylinder diesel engine of the MINI Cooper SD, the company has increased the maximum injection pressure to 2,200 bar and 2,500 bar respectively. The most powerful of the three diesel engines features dual-level turbocharging now. Transmission choices include 6-speed manual, new 7-speed Steptronic dual-clutch automatic and 8-speed Steptronic automatic. 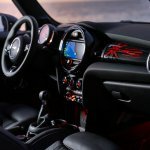 The 2018 MINI hatchback has a new 7-speed Steptronic dual-clutch transmission option. The 2018 MINI 3-door, MINI 5-door and 2018 MINI Convertible will go on sale internationally later this year. As all three models are imported via the CBU route in India, the local launch should also take place this year.